5) Leonardo DiCaprio as Billy in The Departed. Even with all of his issues. Doesn't matter. 7) Leonardo DiCaprio as Cobb in Inception. Whether in a dream sequence or real life: always app-worthy. I've been waiting to get my hands on this book for so long now. The cover looks cute, the premise sounds promising and best of all it involves nerds. Yes, nerds/dorks/geeks (or in this case) "trogs" have a special place in my heart because I'm one of them. I'm not the techie kind of geek but I'm pretty sure I am a geek. So to me any book that involves nerds/dorks/geeks is worth reading. 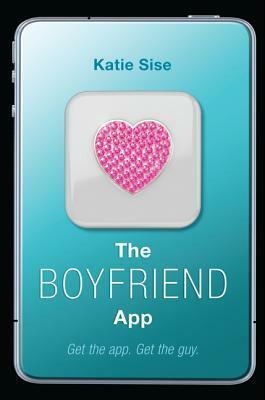 Thankfully, The Boyfriend App wasn't short on geekiness. I liked Audrey from the very start. She was into computers and programming and she hung out with the lovable nerd herd a.k.a. the Trogs. She wasn't the type who wanted to challenge the highschool caste system. She wasn't pining for the popular jock (although she was very attracted to one, but I'll get to that) because she had her sights on a fellow trog. She was basically herself - and she stuck to it till the very end. It's different from most YA contemporary books nowadays. Heck, the fact that she's into programming sets this book apart from the usual. Audrey's a fresh character who was believable. I didn't have trouble believing that she really was good with computer codes. I think part of the reason why is the backstory about her relationship with her father and how it was told. I also appreciate that Audrey had a very present parent in her life - which is pretty uncommon in books nowadays. Audrey didn't want the popular jock, no, she had her sights set on a fellow trog: Aidan. Despite what using the app would entail, this book did not involve insta love - and that's another different route this book took. I loved how natural it was for them to fall for each other, them being friends and all. It was cute how the love story slowly developed as the story moved forward and it didn't feel forced. There was another guy in the picture though - Xander. His presence was rather confusing. He was in the picture but not in her life. Until the very end Xander was very much present.... but not really. I'm so confused I can't even properly explain it. He could've just been there so Audrey had some way to get on Blake's (ex-BFF and very, very mean girl) nerves but in the end I was left feeling confused. What did Xander contribute to the story? The plot itself was interesting. It had the typical highschool drama which at some point I thought was too much. I couldn't wrap my head around Blake's attitude problem. She was pure evil! She even picked on the handicapable. Who does that?! Evil people, that's who. Let's talk about evil people for a while, shall we? Aside from Blake, Audrey had to face bigger bullies in the form of Public. Seriously, they got my blood boiling. They were so despicable! I kind of wondered if Katie enjoyed torturing Audrey. The girl can't catch a break! Fortunately though all the drama was balanced by Audrey's journey to creating an award-winning app. I was very eager to find out how the app would work! Initially I thought the story was too predictable because I reckon with an app like that, it's bound to get awry - and it did at first, then it got uglier but totally not in the way I thought. See, this book had a major twist that steered the story in a totally different direction. I think the shift brought the story to a whole different level because it turned it into something more than just a contemporary read. I don't want to spoil much but let's just say it got me thinking: is it really possible? It sounded so legit it kind of freaked me out. There were a few lose ends which are still bothering me till now. There's the Xander thing. 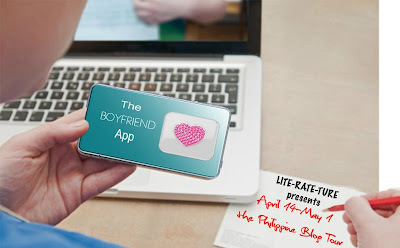 And what happened after to the guys who were app-ed? But all in all, Katie Sise's debut novel The Boyfriend App was definitely enjoyable and out of the ordinary. It's a quick fun read that had everything in it - a little action, villains (for real), a cute romance, a lovable female lead and one heck of a plot twist.